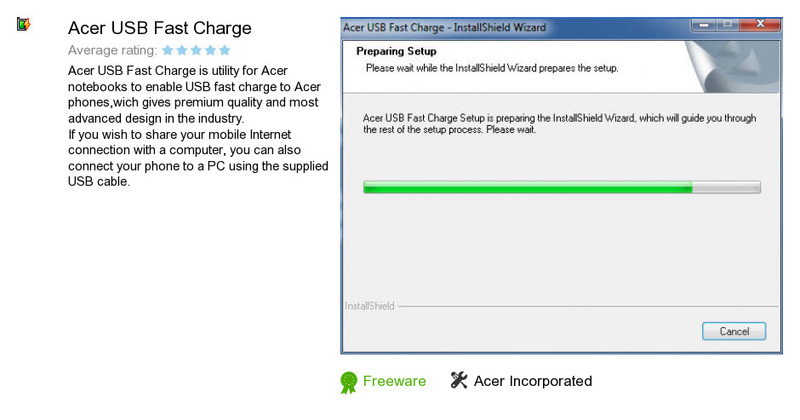 Acer USB Fast Charge is an application developed by Acer Incorporated. We know of version 1.0. Version 1.0.3002 is available for download at our site. Acer USB Fast Charge distributive has a size of 3,373,445 bytes. Acer Incorporated also publishes Acer TouchPortal Express and Clear.fi Photo.